The March 25 edition of PA TIMES Online included an article titled “Adaptive Organizations.” This article proposed that public administration is facing economic, social and political headwinds that require public organizations to be radically transformed from the traditional hierarchical system. To complement the “hierarchy,” decentralized “tree” organizations must be utilized to tackle complex problems that cannot be successfully addressed by one organization or within one organization unit. 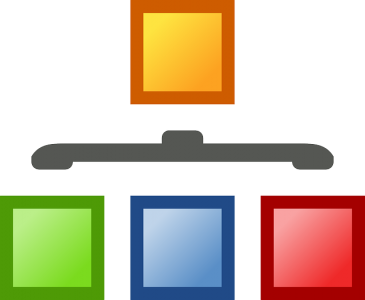 A “tree’ organization will invert the traditional organizational pyramid and be noted by initiative, flexibility, collaboration and delegation of authority. Effective adoption of these characteristics as core to the “tree” organizational culture will require different skills and abilities from what are commonly identified as “management” in the pyramidal organization. And, while the skills and abilities needed by managers in a matrix organization must vary from those relevant to mangers in the traditional pyramidal organization, they are not new to the field of public administration. Organizing in a matrix vs hierarchical system. Endorsing conflict as inherent in operations; managed conflict leads to creativity. Communicating directly between managers and employees at all levels, as well as between employees within units; controlled chaos replaces hierarchical control. Solving problems when they first appear through team and network resolution versus conflict resolution. Utilizing integrative solutions, not compromise. Power with; not power over. Appointing by knowledge, not rank. People at all levels may serve as leaders. Facilitating creation of a vision. Centralized planning for designing unified mission, coordinating information and resources. Decentralized execution and authority. Shaping the organizational culture. Creating a culture with the values to unify all members around a common purpose and joint responsibility for organizational success. Training organizational members about a full spectrum of organizational operations and operations through networks. As mentioned, these concepts are not new. In the 1930s, Mary Parker Follett introduced the idea of integrative decisionmaking, saying administrative systems built on hierarchy and compromise were leading to unproductive conflict. Emphasis on compromise utilizes only what already exists, whereas integrative decisions create something new based on exploration of all facets surrounding an issue. Integrative decisions are based on extending equality of power in the decisionmaking process, not on emphasizing managerial power through hierarchical authority. Follett extended this philosophy of integration by saying managers should not make “power over” decisions, but instead bring all concerned individuals together and find the solution based on facts identified through a joint study of issues. Employees should be given the authority to use their judgement in deciding how an order should be executed. Authority equals knowledge and function. And of course with authority flows accountability. Beginning in the mid-20th century, Warren Bennis built upon Follett’s concepts. Understanding that complexity, growth, technology and diversity were fundamentally changing American institutions, Bennis stated that effective managers had to be leaders. Effective leaders would be those who viewed power as building collaborative systems and designed organizational values around democratic, participatory joint decisionmaking. Bennis claimed that to reach success, organizations must be adaptive and would be “temporary,” changing shape as the situations they encounter change. The modern organizations will be matrix task forces formed according to function and expertise with rank based on expertise with a given problem. A key function of leadership is rallying members of the organizational around a common vision of success. Mirroring Follett, Bennis said effective managers are those who empower people. Problems must be confronted early on and by all of those involved with an issue. Those with the responsibility must be given the authority to implement and modify decisions based, as Follett would say, on the situation. In his book, Team of Teams, General Stanley McCrystal projected Follett and Bennis into the organization of the 21st century. McCrystal describes a new operating environment highlighted by nonlinear, unpredictable issues that demand immediate resolution. Managers must build resilient organizations that can withstand unforeseen disruptions from the environment. Effectiveness is a product of building horizontal connectivity within and between the organization and other entities within the environment. Building team trust, collective purpose, and holistic responsibility for success is the hallmark of a manager in this environment. What impact do these theories have on the field of public administration? First, managing the traditional pyramidal organization will require public managers to effectively utilize the management skills developed by Luther Gulick through his POSDCORB acronym. Hierarchy will remain effective in providing the routinized services that constitute the foundation for many governmental agencies. With these traditional managerial skills, the complexity of the 21st century requires that managers concurrently use new leadership skills to organize and lead networked matrix organizations. So, as we continue our journey into an environment of increased institutional complexity, public managers must use a full spectrum of old and new managerial skills. To insure public managers have the resources to learn these dichotomous skills, our public administration institutions may need to redesign curriculum through which those who aspire to lead in the public sector are educated. 1. Matrix vs. hierarchical. There were many task forces going on all the time but the organization remained hierarchical. No evidence of flattening of the hierarchy. 2. Endorsing conflict. Not explicitly. Conflict was dysfunctional at times. Usually there was a personal component — not just a difference over issues. 3. Free flow of communications. Frequently a problem. No one wants to be out of the loop. Many times I was told to go through channels. 4. Solving problems with teams and network solutions vs. conflict resolution. Yes, that was usually the case. 5. Integrative solutions vs. top-down. Yes on some issues. Not on legal issues. There are a huge number of legal issues because of the complexity of legislation. Also, not on issues where management has a strong opinion. Then you have top down management. Top managers can do a lot of damage if they impose their views but don’t understand the problem. 6. People at all levels may serve as leaders. I never observed this. Every task force/work group had an assigned leader. A smart leader would defer to others with more expertise on the task at hand. 7. Decentralized execution. Not so much. For a large number of programs like Social Security or IRS, the goal is the uniform and correct application of the laws. This means getting the computers to do the work or training people to operate consistently with the rules. For non-legal issues, yes, there is a lot of delegation -sometimes not enough. Managers sometimes create a bottleneck because they haven’t delegated enough. But many managers are burned by delegation so they resist it. 8. Creating a culture to promote a common purpose. I saw top managers try to do this. But employees know they will be in trouble if they violate any rules designed to implement legislation and there are thousands of rules. Many employees feel overwhelmed and frustrated with their jobs. It does no good to preach about the common purpose. 9. Public administration institutions need to teach the full spectrum of management skills. I would say it’s up to scholars to determine if there is a scientific basis for teaching any particular management skills. In the federal government, only a minority of managers have MPAs. Most managers receive management training from some other source. Scholars may influence what managers are taught.